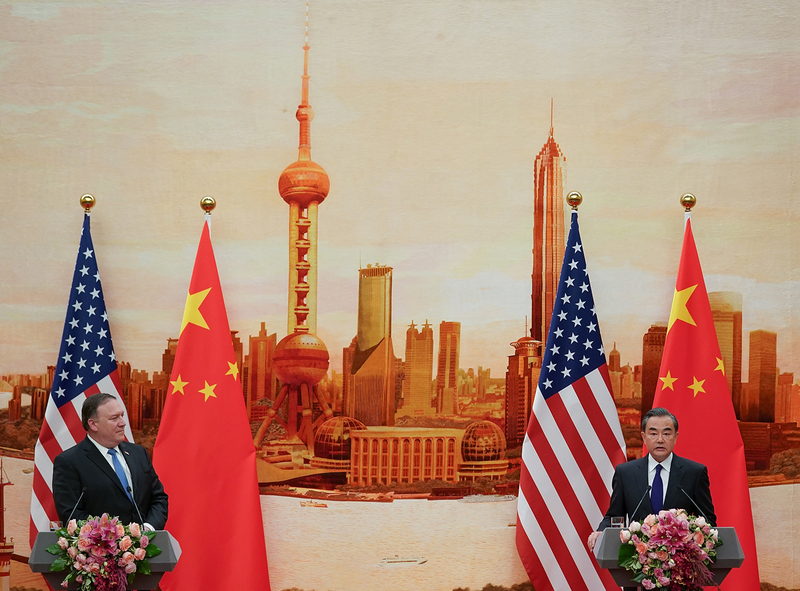 Chinese Foreign Minister Wang Yi (right) speaks during a press conference with U.S. Secretary of State Mike Pompeo (left) at the Great Hall of the People in Beijing, June 14, 2018. To commemorate the fifth anniversary of the China in the World podcast, Paul Haenle is interviewing five of the most respected Chinese international affairs scholars to discuss this important inflection point in U.S.-China relations. Haenle spoke with Wang Jisi, Professor at the School of International Studies and President of the Institute of International and Strategic Studies at Peking University. Wang says that it has been primarily China’s development that has driven changes in the U.S.-China relationship going back to the Qing Dynasty. However, the U.S. still has significant influence and can play an important role in guiding China’s future trajectory. Wang argues differences in political systems and economic development models, as well as the tensions over technological innovation, are the core sources of competition in the bilateral relationship. Pushing back on Chinese claims that the U.S. is in decline, he says that China and the U.S. are both rising, but that China is rising faster. There is a longstanding debate within China over whether the state-led development model or the implementation of market reforms and free market mechanisms is responsible for the country’s rapid growth. Wang argues that the winner of this debate will influence Beijing’s willingness to implement the economic reforms laid out in the 2013 Third Plenum. He encourages the U.S. government to tone down rhetoric demonizing Beijing, while the Chinese government should consider how best to address specific U.S. concerns. Some U.S. and Chinese interests are incompatible at the moment, he says, but it is important to recognize that they will change over time and could align again.